Soundgarden and Kid Rock will headline the third annual Northern Invasion, Saturday, May 13 and Sunday, May 14 at Somerset Amphitheater in Somerset, WI. Northern Invasion hosts the biggest rock bands for over twelve hours each day on three stages, and offers a top tier campground experience. In 2016, Northern Invasion expanded to two full days, with over 45,000 in attendance. The powerful music lineup for Northern Invasion 2017 is as follows: Soundgarden, Kid Rock, Godsmack, The Offspring, Bush, Papa Roach, Alter Bridge, The Pretty Reckless, Amon Amarth, Opeth, In Flames, Gojira, Pierce The Veil, Sum 41, The Struts, Motionless In White, The Dillinger Escape Plan, The Story So Far, Nothing More, Fozzy, Every Time I Die, Rival Sons, Attila, Starset, I Prevail, Dinosaur Pile-Up, Volumes, Bad Omens, As Lions, Radkey, Dorothy, Sylar, Wage War, Bleeker, Goodbye June, Badflower, The Charm The Fury, Frank Carter & The Rattlesnakes, Citizen Zero, and more. Presale weekend tickets and layaway packages, as well as hotel, camping and VIP packages, are available for purchase starting Tuesday, December 13 at 10:00 AM CST at www.NorthernInvasion.com. The layaway option allows purchasers to split the cost into four monthly payments. Those looking for an expanded festival experience are invited to purchase hotel, camping and VIP packages. Available camping packages (RV and tent options for 3 nights) include Groupie, Roadie, Star, and Ultimate Package at Float Rite Park. Hotel packages offered for 3 nights are: Bronze, Silver, Gold, and Platinum. All camping and hotel packages include a $25 festival merchandise voucher for each person. For details on each package, visit: www.NorthernInvasion.com. As in the past, General Admission ticket discounts will also be available for active military through Northern Invasion partner GovX (www.govx.com). 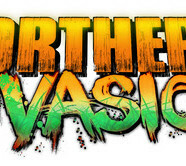 Northern Invasion is produced by Danny Wimmer Presents and AEG Live and is part of the World’s Loudest Month concert series, which features the biggest names in rock music performing in eight distinct U.S. concert atmospheres in during six consecutive weekends in April, May and June of 2017. Northern Invasion is supported by our rockin’ sponsors: Monster Energy, Zippo, Pabst Brewing Company, and Jack Daniel’s. These partners, along with many others, will feature interactive experiences, artist meet & greets, and other unique fan engagement opportunities throughout the festival.